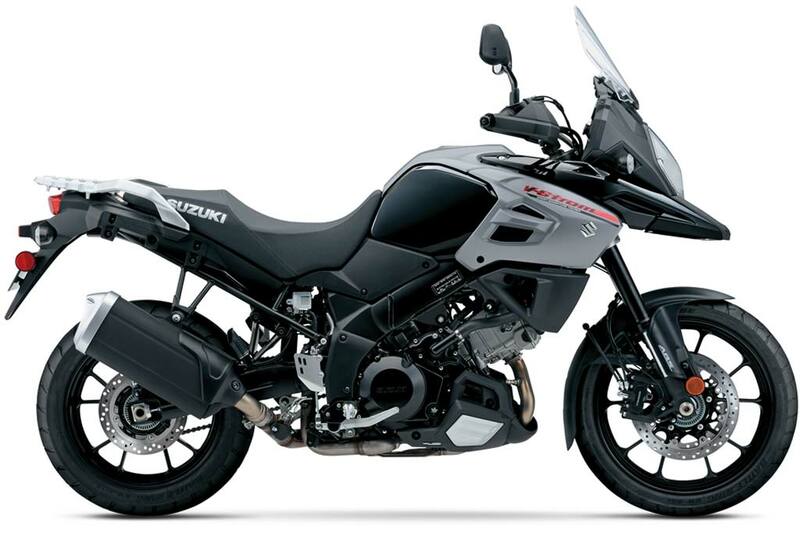  Suzuki adds a new V-Strom 1000 to the line with more dirt-focused features. The all-new more dirt-capable Suzuki V-Strom 1000XT will be on display at Intermot in Cologne, Germany this week. Suzuki has unveiled a completely new V-Strom 1000XT model and several updates to the existing V-Strom 1000 for 2017 at the INTERMOT International Motorcycle show. For 2017, the V-Strom 1000 has been split into two separate models. The standard V-Strom 1000 and an all new V-Strom 1000XT with more dirt-focused features. 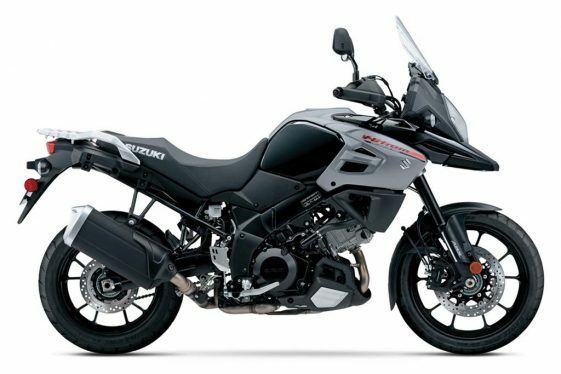 Both the V-Strom 1000 and V-Strom 1000XT still utilize the same 1,037cc V-Twin engine but with updates to meet the new Euro4 emission standards. New styling cues for 2017 are reminiscent of the late 1980’s DR Big Adventure Bikes, and both bikes receive hand guards and a bash plate as standard equipment. Also included is a new height and angle adjustable wind screen that can be raised 2 inches (49mm) higher than the previous design. The standard V-Strom 1000 gets several updates in styling, safety, convenience, comfort and more for 2017. Safety has been enhanced with a newly adopted Motion Track Brake system, which enables ABS to activate also when the vehicle is leaning to either side, and automatically applies pressure to the rear brake to stabilize the vehicle when the front brake pressure rises to a certain degree. New convenience features include ‘Low RPM Assist’ that helps riders with smoother launches, and Suzuki’s ‘Easy Start System’ for improved engine starting performance. 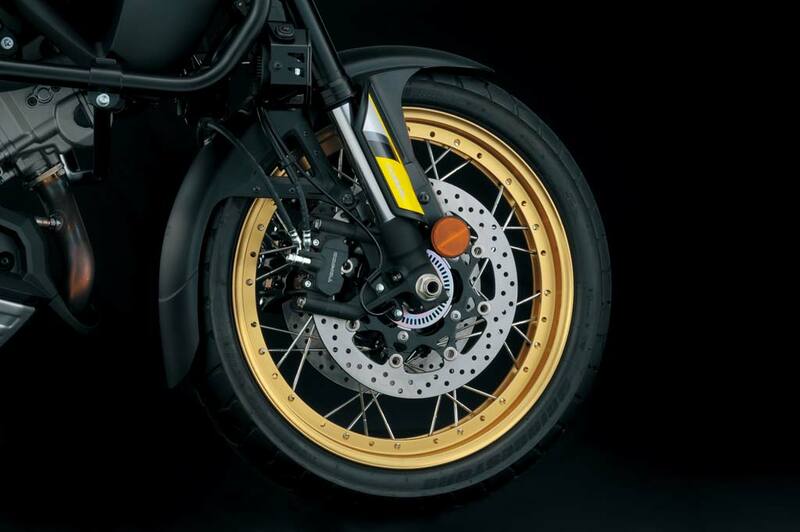 The V-Strom 1000XT is equipped with rugged wire-spoked wheels for improved durability off-road and enhanced shock absorption performance in the low speed range. 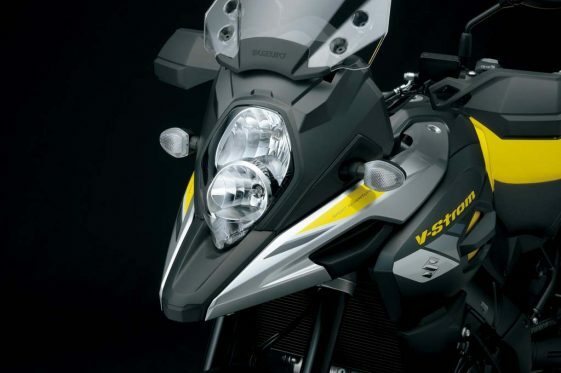 Additionally, the V-Strom XT gets a oversized tapered handlebar with larger vibration damper weights as standard equipment. We look forward to seeing how the new equipment enhances its off-road performance. 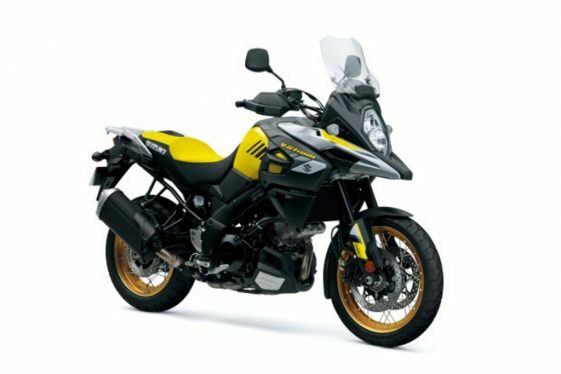 Officially, both the V-Strom 1000 and V-Strom 1000XT will be early release 2018 models, available in 2017 in European and North American markets. Suzuki will skip the 2017 model year for the V-Strom 1000 models. Both models will be available in white, black and yellow. Pricing for the V-Strom 1000 and V-Strom 1000XT are TBA with V-Strom 1000’s hitting dealership floors on March 2017 and V-Strom 1000XT’s hitting dealership floors on April 2017. You can see the new models on display this week at the INTERMOT show held in Cologne, Germany from October 4th to the 9th, 2016. ?? STILL NO SHAFTDRIVE ?? Many of us do not want shaft drive.